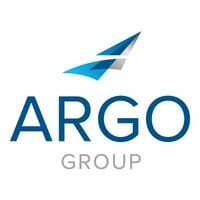 January 4, 2018 – ARIS Title Insurance Corporation, a member of Argo Group International Holdings, Ltd., is pleased to announce the appointment of Mary Buschman as president of ARIS Title Insurance Corporation, a leading worldwide provider of title insurance for fine art and high-value collectibles. ARIS developed the field of title insurance for tangible personal property assets, and is recognized by the international art industry as an authority on the broad range of legal title risks inherent in the global art and collectibles industry. Lawrence Shindell, who formerly led this business, left the company in December. “I appreciate Larry’s partnership and vision as we built this business over the years and wish him the very best in the future,” added Watson. Buschman previously served as chief underwriting counsel for ARIS. Prior to that, she was a senior operations manager at Magnetar Capital. Before working in finance and law, Buschman owned and operated Skylight Fine Art Gallery. She earned a bachelor’s degree in art history from Williams College, a master’s degree in contemporary art from Sotheby’s Institute of Art and a Juris Doctor from Fordham University School of Law. She serves on the New York City Bar Association Art Law Committee and is admitted to practice law in New York State.